While Rahul will taste his first World Cup experience, it will be the second time out for Shami. 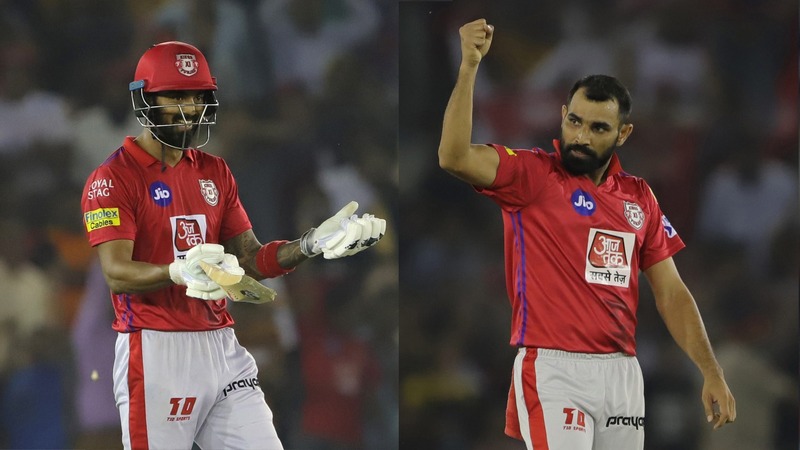 The Kings XI Punjab duo of KL Rahul and Mohammed Shami have made the cut for India’s 15-man squad for the 2019 World Cup schedule to start on the 30th of May in England, according to the announcement made by the Board of Control for Cricket in India (BCCI) on Monday. While this will be Rahul’s first ever World Cup, pacer Mohammed Shami keep his place from the 2015 World Cup team. Shami has been picked as the third seamer for India alongside Jasprit Bumrah and Bhuvneshwar Kumar. On the other hand, KL Rahul has carved a spot for himself in the team as their auxiliary opener to back up Rohit Sharma and Shikhar Dhawan. Both Kings XI players have been in mesmerizing form in the 2019 VIVO Indian Premier League, with Rahul and Shami being the franchise’s leading run scorer and wicket taker respectively. India begin their World Cup campaign with a game against South Africa on the 5th of June. Indian squad: Virat Kohli (Capt), Rohit Sharma (vc), Shikhar Dhawan, KL Rahul, Vijay Shankar, MS Dhoni (wk), Kedar Jadhav, Dinesh Karthik, Yuzvendra Chahal, Kuldeep Yadav, Bhuvneshwar Kumar, Jasprit Bumrah, Hardik Pandya, Ravindra Jadeja, Mohammed Shami.